We loved the October Starbox. It came with a great gold eyeliner that I used to make the Harry Potter scar for my son’s Halloween costume, and will be using as a regular addition to my make-up. I also enjoyed the lipstick. It turns out it is the perfect shade of red for me, and I never wear red lipstick because I haven’t been able to find one I liked. 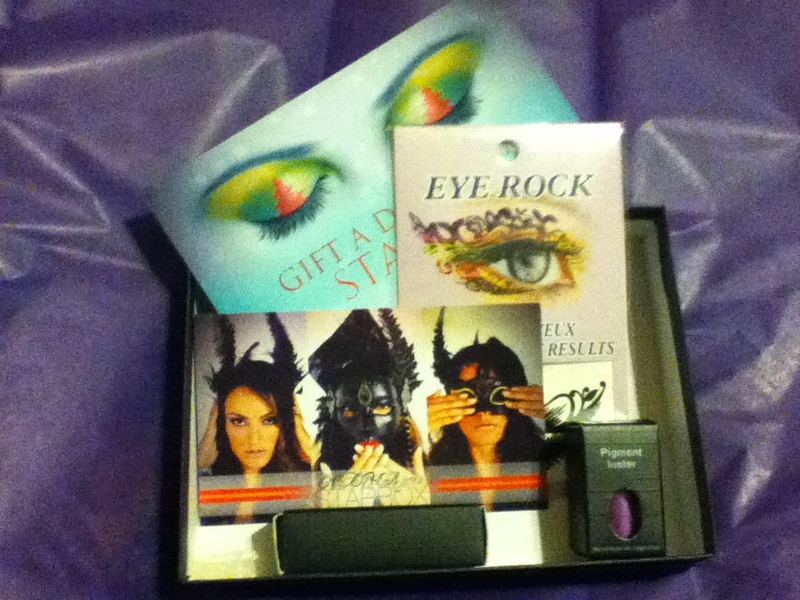 They had eye tatoos which I am too chicken to use this year, but hope to use next year, and a glorious purple eye dust that I can’t wait to try some fun day. 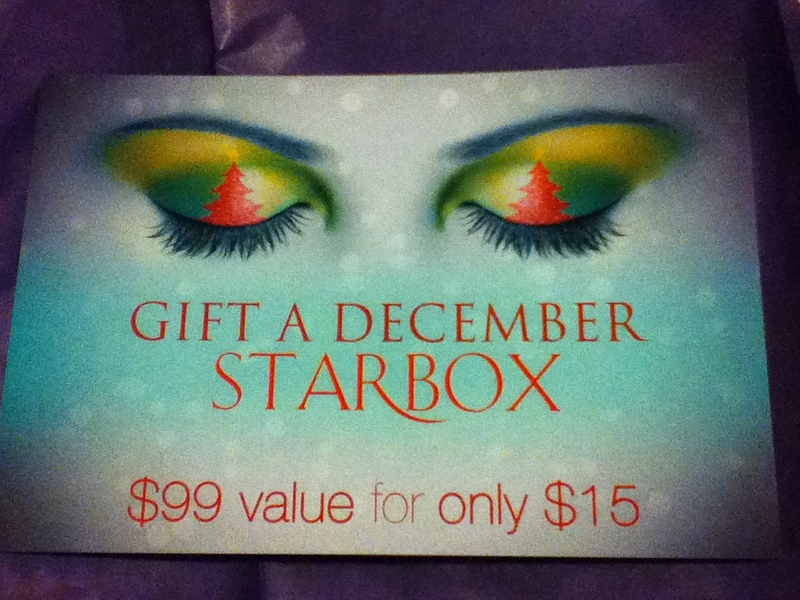 As always, Starlooks Starbox has not failed to impress, and I love getting the hottest items just for me. I hate shopping for myself, and love that this comes in the mail. I am not a big make-up fan, but I love the products I have received so far, and find myself going out of my way to use them. Their quality, universal appeal and great trends make them quite the deal. Oh my goodness! 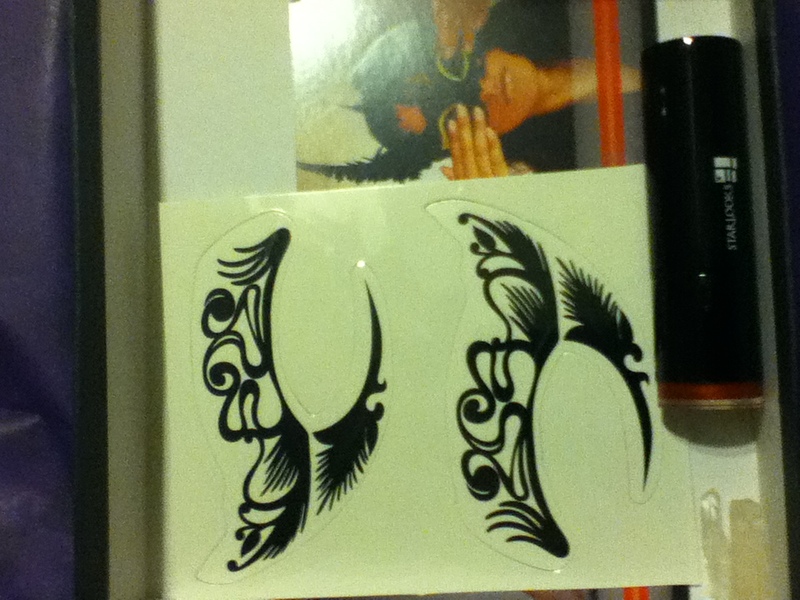 Are those… Temporary tattoos for eyes? That is the coolest thing I have ever seen! Thank you so much for reviewing this Starbox, it’s amazing! !